I knew Caleb’s love for hunting and trapping would come in handy some day. 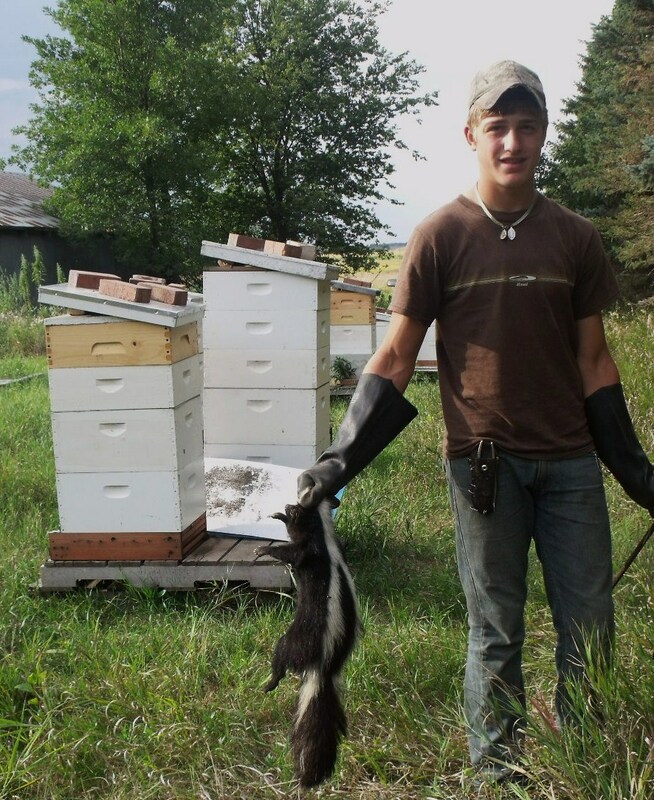 He recently eliminated two of the, who knows how many, skunks that have been dining on our honey bees. We noticed the bees were agitated and could see scratch marks on the hives, as well as bees that had been chewed on and spit out. Of all the nerve, those skunks love bees! I guess there are plenty of other beekeepers who have this problem, some not knowing why the bee population in certain hives may be diminished. We have not noticed any more so far, but are checking daily for any problems. Marisa was the first to spot the problem, basically by noticing one of the hives had less bees. After some checking around the hive, she made her decision that we had a skunk problem. Then it was “all out war”! I made up a bunch of aspirin eggs and placed them by each of our hives, having read on the beekeepers forum that this was a good method to eliminate skunks. 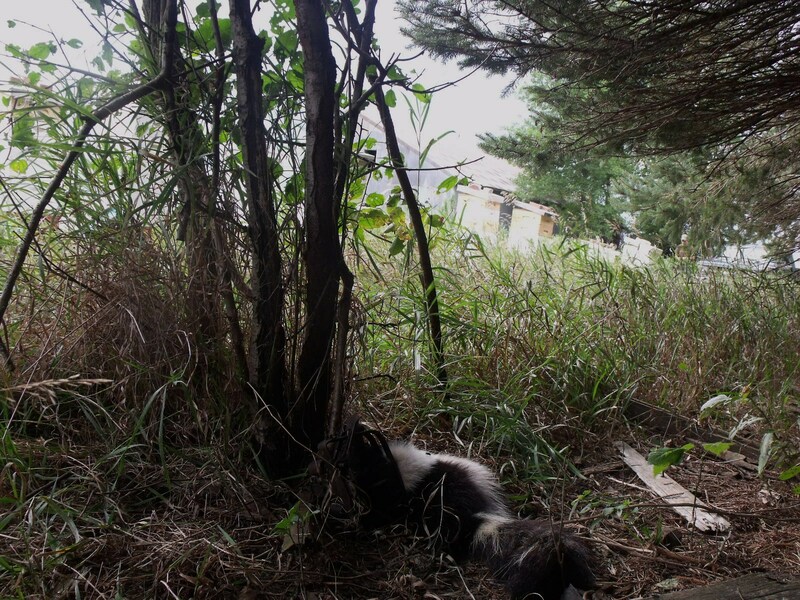 Hopefully if there are any more skunks looking for fast food, they will opt for the eggs! Only a few eggs have been touched. 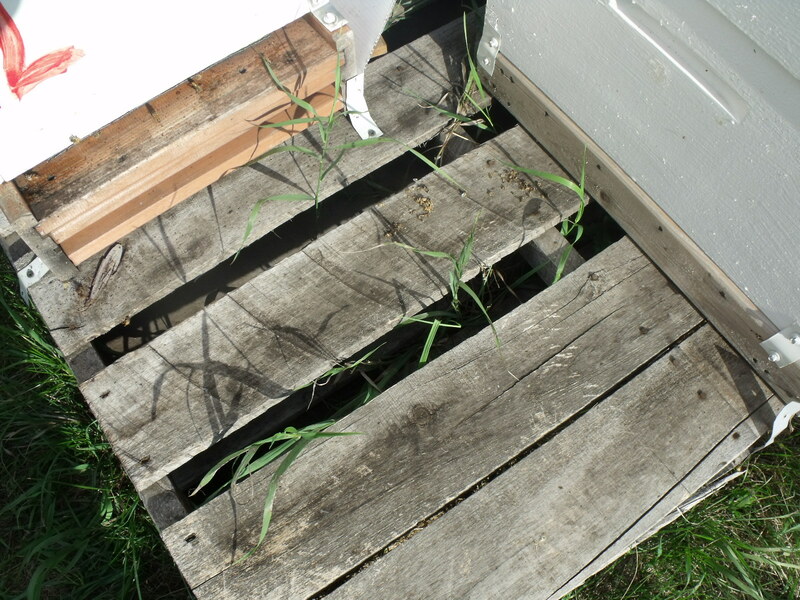 Even with this latest problem, we have had a good honey harvest. We’ll be pulling the last of the honey soon. Honey from this year is now for sale. Let me know if you would like to purchase some. Also, our honey is available at Brad’s Market in Minneota for the local folks. 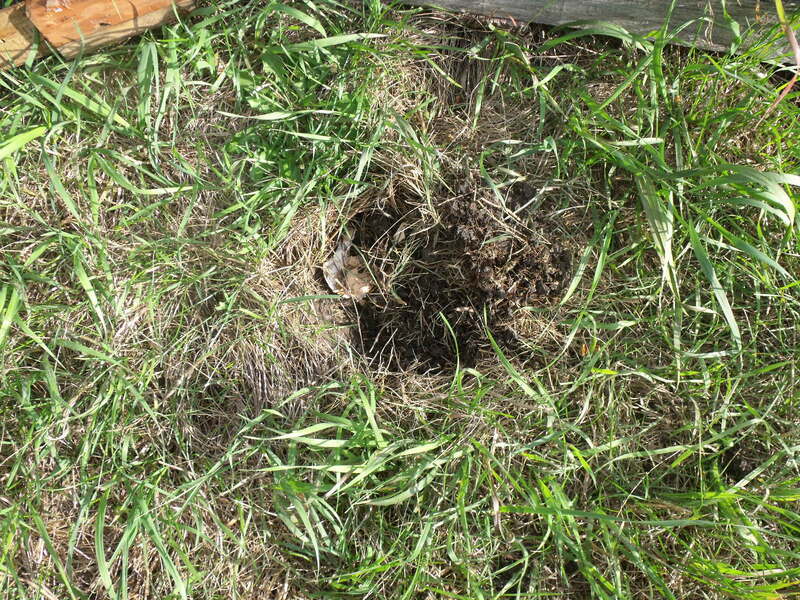 This entry was posted in EVERY DAY FARM LIFE and tagged aspirin eggs for skunks, skunks eat bees. Bookmark the permalink. OHMY Goodness! 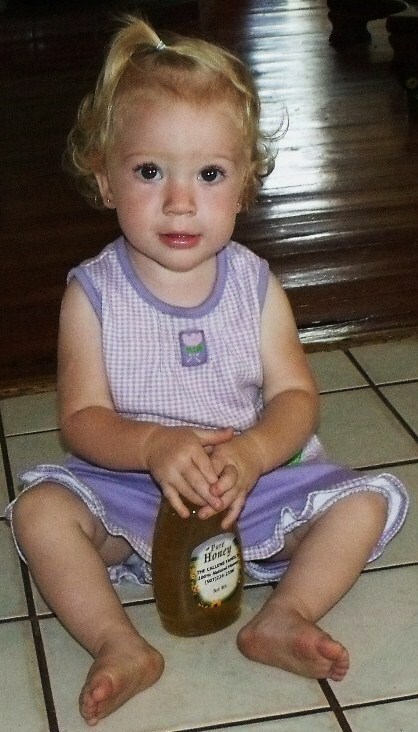 Does the honey come with that little miss in purple? 😉 Goodbye Mr skunk (ick ick ick).